This urbanization has led the human dynasty very far away from its origin. Years together we humans spend time in the polluted and once in a year, it’s a bliss for the human body to get to back to where it all began. In this post, we will be seeing the best resorts in India which is built around or in the presence of wildlife. Before getting started to imagine a situation where you see endless mountains and a sunrise from the infinite horizon, a peaceful breeze soothing your skin and birds chirping right outside your window, a pride of lion gearing up for the day’s hunt and you see yourself very close to nature. This is just a normal day in this ambiance, imagine the nights here. Sounds exciting, right? You’ll be this excited throughout this post, stay tuned. Sit back and relax. Enjoy the richness of Rajasthani culture along with the richness of wildlife. Situated on the outskirts of Ranthambhore Tiger Reserve. Experience the tented accommodation like nowhere else. The perfectly matching room décor The Oberoi Vanyavilas have been consistently at the top position in this list for quite a long time. Handcrafted with a rural touch this resort is surely a place where you can have a memorable holiday. Well-furnished suites that will leave you awestruck and want to stay there more. Experience the jungle safari and the second-to-none luxury of Taj. Where natural beauty meets the lavishness, the place is none other than Orange County. The design of the resort is inspired by the tribal village known as Hadis. 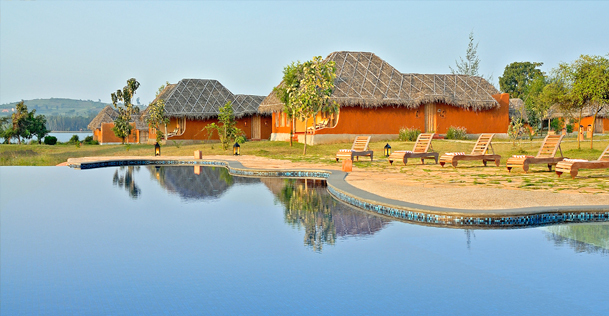 The river Kabini further beautifies the resort. This resort hails its existence from legends of Maharajas who hopped in here for hunting the Bengal beast. Once done, the maharajas used to party here and enjoy the scenic beauty. What else we’d need from nature, getting to experience something priceless for an inexpensive price. Down south its equally beautiful. Known as God’s own country houses Periyar Tiger Reserve. This resort is just outside the sanctuary was built to pay respect to nature and the environment. As the name suggests you’ll fill your lungs with the aroma of cloves and cinnamon along with mountain fresh air and live like never before. Replacing Anatavan Wildlife Resort is right in the middle of a forest. 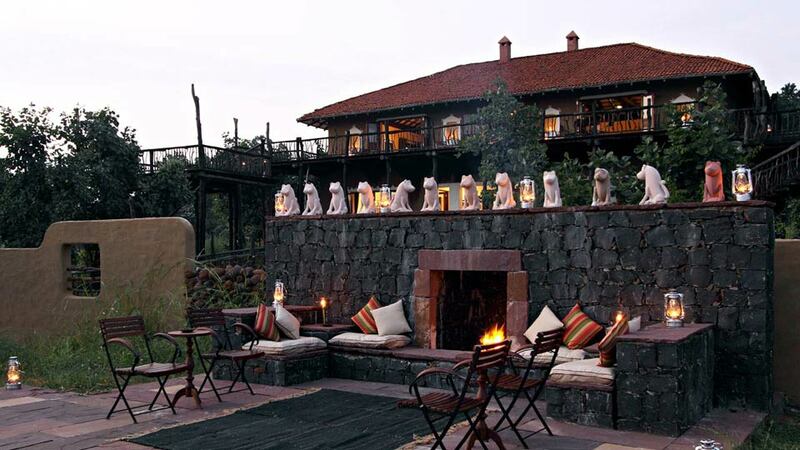 Undoubtedly one of the best wildlife resorts our country has. The thrilling experience of seeing the wild animals more than often during your stay here is the icing on the cake of this resort. Situated at the edge of Gir forest, Taj Gateway hotel is indeed a gateway for your wildlife holiday experience. River Hiran and the Gir forest outranks everything present in front of your eyes, the Taj Gateway is a bonus for the guests in this ambiance. Mango orchards inside Corbett Leela Villas and Corbett Leela Villas inside Mango Orchards. One of the finest resort near Corbett National Park for a reason. The North Indian environment and the texture of wildlife is a perfect blend that this resort offers. Located in Jamespore village of satjalia Island, this resort is situated at the edge of mangrove forest. 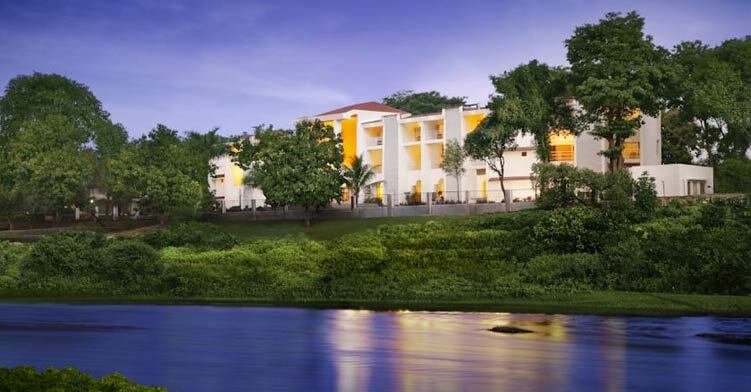 The views of Pichkhali riverside adds charm to the luxury this resort offers. This resort supports eco-tourism among the travelers and promotes preserving and regenerating of the multi-faceted natural resource. A new luxury resort that will give a good start to wildlife tours. From the most untapped area of our nation, Kaziranga national park stands unbeaten in the most visited national park across the year for years now. How amazing would it be if you or I get to be here and experience an exotic lifestyle amidst one of the most beautiful national reserves our country has. Living a city life is not always helpful. Thinking of a break definitely tells me to go away from the city. Having said that, nothing is more soothing enough that the woods. Coming from a sub-continent, India has almost everything, mountains, forests, landscapes, culture, wildlife, food, lifestyle and what not. Having said that, there are not just these ten in India, but there are many best wildlife resorts all across the country. But you deserve the best, hence this list. Over to you. What do you prefer between a vacation in a wildlife resort or a beautiful beach? What do you like me to cover in the next article? Let me know in the comment section below. Do you know someone who’s planning a visit to wildlife resort in near future? Share this post with them. Also share this post on your social network too.